The award winning Red Stripe Band are back at the Crypt as they celebrate 22 years in the business having playing to over 250,000 fans worldwide. Expect an engaging and energetic mix of 1930s boogie , 1940s swing and 1950s rock n roll The Red Stripe Band. 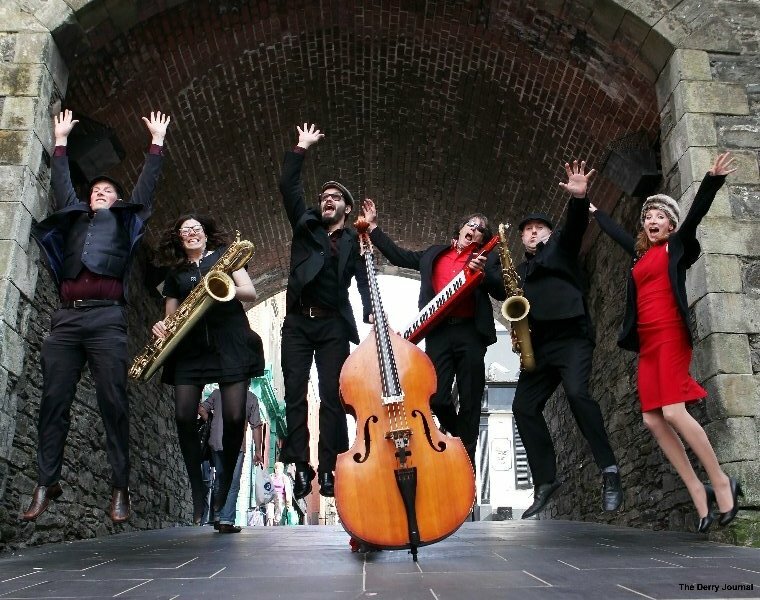 Their colourful career has seen their latest original CD “Soho Surprise” top at number 10 in the London Jazz Charts and their songs used on Radio and TV alike including by Pizza Giant Papa Johns in the USA. They have played at every Jazz and Blues festival in the UK and picked up best newcomer at Montreux Jazz Festival in 2010. Expect to be entertained with a high energy evening of original songs and boogie woogie, swing and rock n roll classics.